Imagine you decided to launch a cloud service today. You face no restrictions on geography and no restrictions on what IaaS you would offer. Where would you host your services, and what services would you offer to that market? 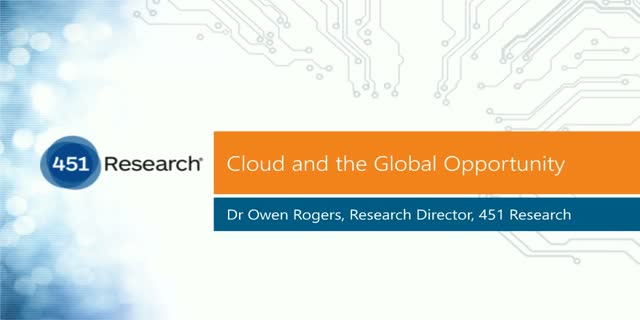 During this webinar, Dr. Owen Rogers, Research Director for Digital Economics, will present Q2 findings from the 451 Research Cloud Price Index and discuss how the data can help end users choose a best execution venue for their workload.